Top Iranian diplomat Mohammad Javad Zarif says no meeting between Iranian and US officials is scheduled to be held on the sidelines of this year’s UN General Assembly at the UN headquarters in New York. “No. There will be no meetings. 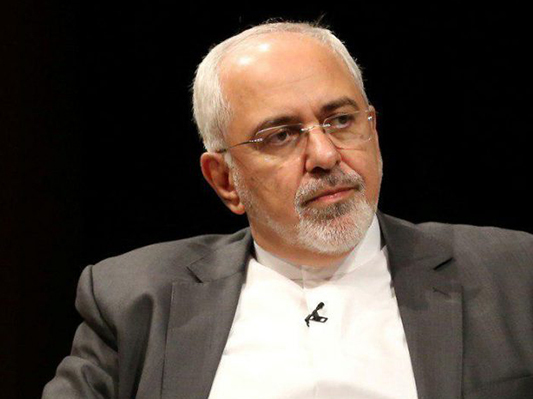 We have announced our position so many times,” Zarif said on Saturday. Iran has ruled out negotiations with the US, following an offer for holding talks raised by US President Donald Trump last month. Trump said he is ready for an “unconditional” meeting with Iranian President Hassan Rouhani over the existing issues between the two countries. “Regarding Trump’s offer for talks, the Iranian president and also we announced our official position. Americans are dishonest,” Tasnim News Agency quoted Zarif as saying. “Besides, they are busy with their addiction. Their addiction to sanctions won’t allow talks to be held,” he said. Trump, who withdrew the US from the 2015 nuclear deal early May, re-imposed anti-Iran sanctions on the country’s automotive and metal sectors, gold trade, aviation industry and other fields on Monday to exert “maximum economic pressure”. The US is working to push the world to cut trade with Iran and stop purchasing the country’s oil before November, when further sanctions on oil and transactions with the central bank of Iran will be restored. Zarif announced last week Tehran and Washington are in contact via mediators including Switzerland and Oman, although the two countries are not currently in direct talks. Trump had called the Iranian delegation attending the 2017 UNGA eight times to no avail, a government official announced last month. The 2018 UNGA will start in September.